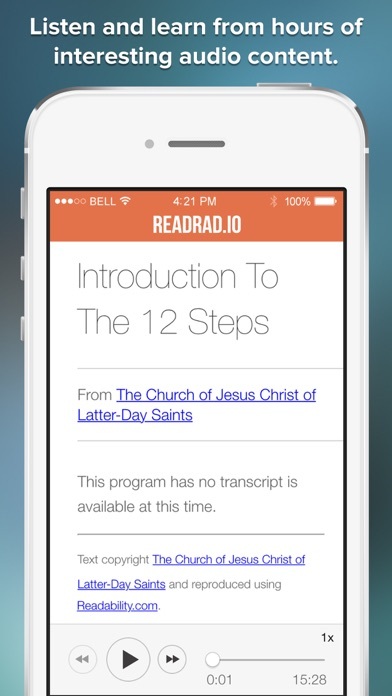 Listen to the LDS 12 Step Addiction Program developed from the program of Alcoholics Anonymous in high quality audio recordings. -------------------- BONUS: Download hundreds of other high quality audio recordings for your sober journey including: * The Complete AA Big Book * The Entire Living Sober Companion Book * Alcoholics Anonymous Personal Stories * The AA Twelve Steps and Twelve Traditions 12 & 12 * Narcotics Anonymous Personal Stories * The Complete NA Basic Text * Over 100 Personal Stories from the AA Grapevine * Tons of Recovery Based Meditations * Hundreds of Recorded Talks from AA, NA, CA, Al-Anon and Others and much much more.... -------------------- NOTE: You get three complete sections of the LDS Recovery Program for free. 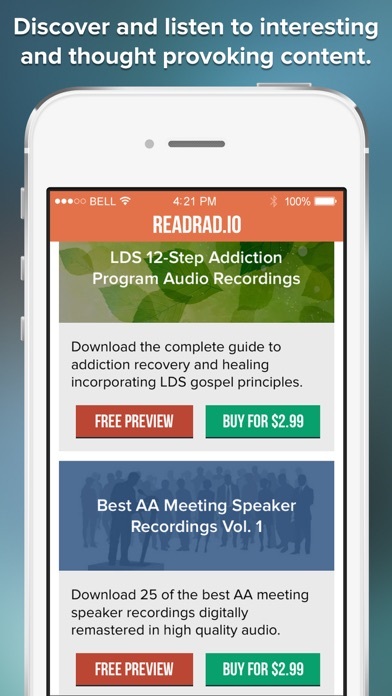 You can purchase the entire remainder of the Program in the app along with other great recovery content. 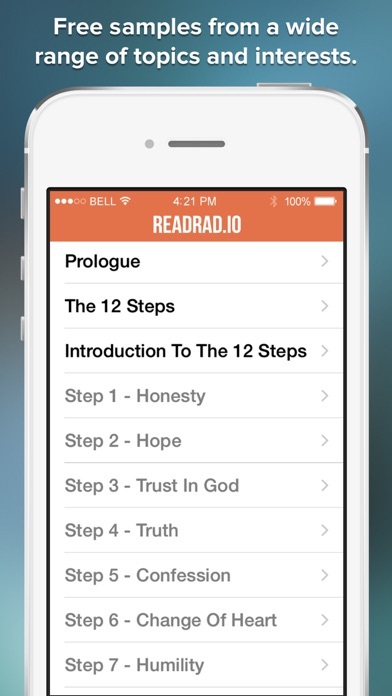 -------- Yet another great tool to aid in your sobriety or for anyone who wants to learn more about the Alcoholics Anonymous program and membership. 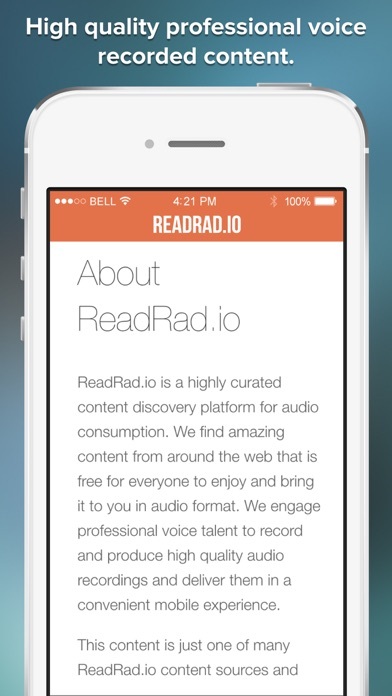 -------- The content in this app is freely available online. You are paying for our hard work to hand curate a selection of great content and organize it in a high quality mobile app for your enjoyment and convenience.